Wayne Mann, our President and CEO, who is also our chief pilot has been involved with Remote Control airplanes, helicopters and multirotors (UAV) (sUAS) since 1972. He flew pattern airplanes in expert class from 1981 to 1986. In 1984 he got started with R/C helicopters. In 1991 he competed in his first World Championship with R/C helicopters in Australia where he finished in second place overall with the USA Team winning the team title. He competed in the next ten World Championships (held every other year) with the USA Team winning five gold medals. In June of 1992 he went to work for an R/C helicopter company in Orlando, FL called Miniature Aircraft USA. At the beginning of 1995 he helped engineer a new Rotorhead for competition flying. In August of that same year that rotorhead won the World Championships in Kasaoka, Japan with Wayne finishing in 3rd place. In 1993 Wayne became a Consultant for several manufactures of R/C helicopter related equipment. He continued in the Consultant business for several Japanese companies until the end of 2011 when he retired from competitive flying. Wayne got his first real camera, a Nikon FE2 back in 1984 and the love affair with photography took off. It was a great hobby and a wonderful excuse to get out and explore nature and travel to different places. In 2004 he started HeliCam Aerial Media Services, LLC. Having a strong background in R/C helicopter development he engineered his own single rotor R/C helicopters for aerial video use as the kit helicopters that were available were just hobby grade low-end machines with terrible machining tolerances. So in 2011 when he finally got involved with multirotor or UAVs he ran into the same problems, so he had to design his own frame structures to ensure proper performance, reliability and safety. Wayne starting taking flying lessons on December 10th 2014, a requirement from the FAA in order to obtain your 333 Exemption for commercial work with sUAS (Small Unmanned Aerial Systems). 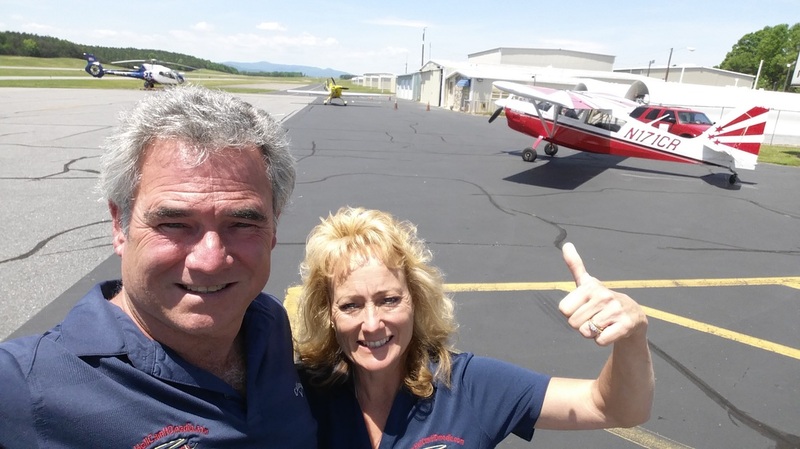 Wayne took and passed his check ride on March 29th 2015. Another lifelong dream was fulfilled, being a full scale pilot. Another expensive hobby! In the end it was all worth it when HeliCam received their 333 Exemption with the Motion Picture and Television Wavier. Denise Mann is our Visual Observer and Safety Officer. She has been part of our company since its inception. Denise passed the Private Pilot Airmen Knowledge test earlier this year per the FAAs requirement to be a Visual Observer or VO. She absolutely loves her job and always puts the client’s needs first. Denise does all the Social Media, PR and Marketing work for HeliCam as well. She retired as a very successful realtor after 12 years where she acquired her Salesman’s and her Brokers License. She was Salesperson of the year for 10 years at Old South Homes. She has never met a stranger!